With the many quests now available in The Taken King it can be a daunting prospect trying to decide which one to start next. In particular, the sword quest is one of the most rewarding but is certainly well hidden among the others. In this guide you'll find simple step by step instructions for unlocking the important quest which guarantees a sword reward at the end of it. So follow along and claim your first Sword heavy weapon in Destiny. The first and possibly longest quest line is for the Taken King which takes you on a journey to Mars, Earth, the Moon and finally all the way to the new Dreadnaught to take on and defeat The Taken King. It's now safe to move on to Step 2 below. Take a peek at the quests in your inventory and spot the one titled "The Vanguards Hand". This quest line starts with a mission in the Dreadnought to establish patrol routes and beacon sites for the Vanguard. Thankfully this is actually a fairly quick and rewarding mission which earns you 25 Legendary Marks for not much work. After a short chat with Cayde-6 in the Tower, several other new quests will be unlocked and the most important of these is described in Step 3 below. The conclusion to this quest is a new map unlock - "Dreadnought patrol" area in addition to some nice Legendary Marks. 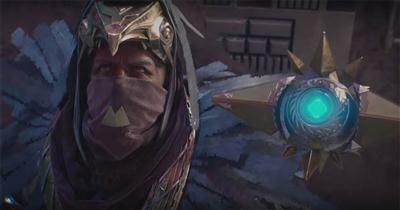 Now that the above quests are out of the way it's time to talk to Eris Morn, located just next to the Vanguard mentors. She'll offer you a couple of quests but the most important of these is A Broken Will which takes you on a journey to the Dreadnaught to find Hadium Flakes, required to reforge a blade. It's worth accepting all the other quests anyway, especially the one which takes you to the new strike called Sunless Cell which is really great strike. For now, speak with Lord Shaxx to commence the first step of the Broken Will quest - "Reforging the Blade". Immediately hover over the quest description and take note of the rewards. Notice the Legendary Weapon reward? Yep, that's the one we're after and it's going to be a guaranteed sword weapon. It's time to head off to the Dreadnaught once again, but this time in Patrol mode to search for these Hadium Flakes that are found in chests which randomly spawn. These chests are exactly like the material chests from other planets and the technique to acquire Hadium Flakes is exactly the same. Work circles round the edge of a Patrol area e.g. Hull Beach until you come across little caverns. Inside these caverns you'll sometimes come across chests with green lights on them. Open the chest to collect a Hadium Flake or two and move one step closer to the target of 25 flakes necessary to complete this quest step. As soon as you open a chest, another one will spawn at another location. Should you find yourself in the company of other guardians remember to point, dance or do something to call their attention...they may be looking for chests too. All three swords are attack 220 and require Level 30. Depending on the primary damage type, the guard stance will be effective against the opposite damage types. For example, if you choose Void Edge, you will deal Void damage but your guard will be beneficial against Solar and Arc. Therefore, choose wisely based on your new subclass and other weapons you may use frequently. 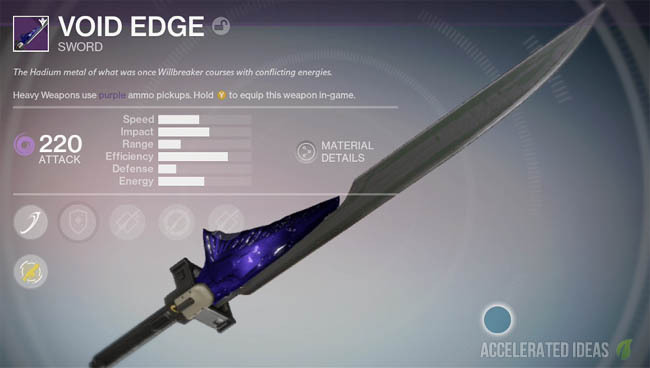 Now that you've got the Legendary sword you can happily choose to keep that weapon, or you can go one step further and upgrade it to an Exotic. Once again, a Quest line will guide you through the process of obtaining the elusive weapon. 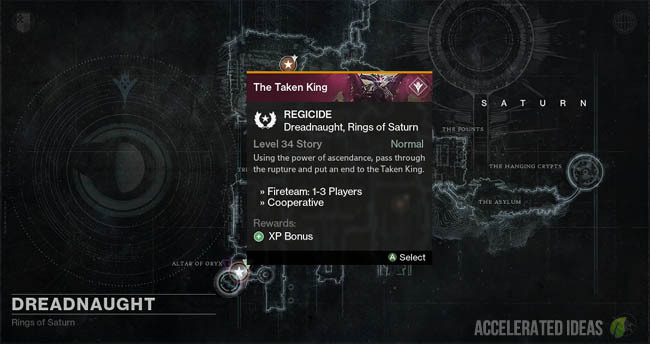 Before you start this quest please bare in mind that it's one of the most time consuming quests in The Taken King, taking around 5-6 hours to complete. In order to kickstart the process you first need to fully upgrade your chosen sword and also Infuse it up to at least 280 (this will require at least two high level heavy weapons). As soon as the sword reaches this stage, a new quest becomes available from Shaxx called "A Sword Reforged". It's time to get serious now because this quest is very difficult. I've listed the steps to complete the exotic quest below, but please be aware that killing Ecthar, Sword of Oryx is difficult and requires very quick reactions in order to open the door. Secondly, collecting rare planetary materials is extremely time consuming. You can expect to spend 2-3 hours on this part alone. The final part of the Exotic quest is to complete the Sunless Cell strike and kill the Wardens and BOSS within 30 seconds of each other. A matchmaking facility is available for this strike, although the recommended difficulty is a high 300. A similar tactic to the Ecthar encounter applies here: knock down the Wardens health then focus on the BOSS until he's almost done. Switch back and kill the Wardens first then finish off the BOSS to avoid Wardens despawning. This should give you a better chance at achieving the 30 second window. Ideally, you want a fireteam of players going for the same sword type. This will mean that you ONLY need to keep one of the Wardens alive whilst killing off the others. The one you keep is the warden with the same shield as your sword damage type. E.g. for void sword, keep the warden with purple shield alive until last possible moment (see the video for walkthrough). The Exotic reward will be one of the following and you still keep your legendary version. In my case I got the Void version called Dark-Drinker which has a whirling AoE attack.